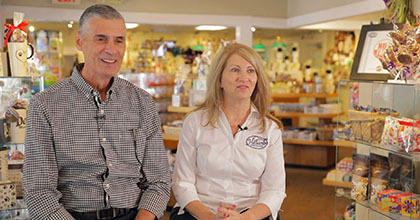 Success had brought Judy Hilliard McCarthy and Charlie McCarthy to a crossroads: deciding where to take the family business they had purchased and grown over the last 25+ years. To continue growing, they would need more room and a new production kitchen and warehouse. Two properties abutted their main store. Purchasing them seemed like the perfect opportunity. But this new growth came with the uncertainty of how to finance it. The McCarthys needed timely financing decisions for a sudden window of opportunity. They found responsiveness and more at Webster.